The launch of the Roku 4 brought 4k to its tiny black box as well as a host of other upgrades. The Roku SE is basically the opposite of that. 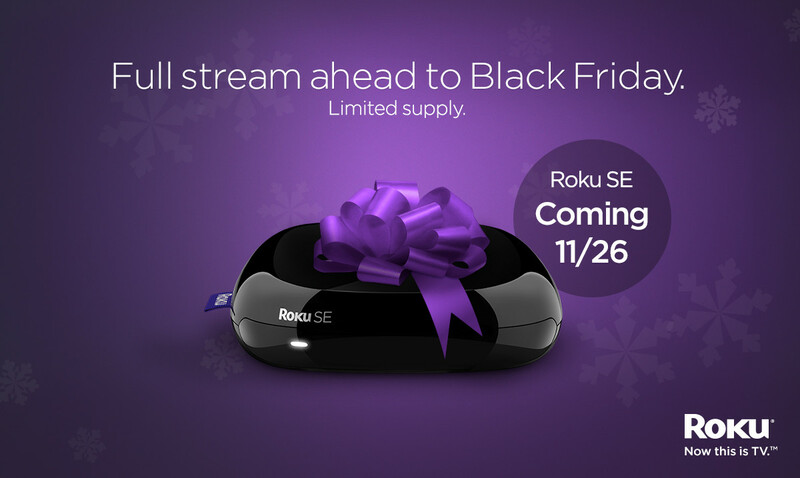 With the higher end of the market covered, Roku decided to drop the SE as a $50 entry into the world of streaming video. Even better, it’s discounted to $25 for Black Friday. The Roku SE won’t carry the same 4k functionality as the Roku 4, but you didn’t really expect that from a streaming device that costs less than half the price of its predecessor, did you? Instead, you’ll find the familiar menu system of Roku OS 7 with access to nearly 3,000 streaming channels which boasts 300,000 movies and TV shows. 1080p video is still supported on the entry-level addition to the Roku lineup but you’ll notice a lack of some other features like the Ethernet port, remote finder function or voice search. If these are dealbreakers, it’s probably worth stepping up to the Roku 4. All-in-all, it’s a solid offering from Roku to serve the lower-end of the streaming market that lacks a SmartTV or a better streaming device.. If you’re in the US, you can pick yours up on November 26.